I want to clarify one thing about my post from yesterday, regarding painting from photos. I certainly do not think painting from photos is bad!!! As you probably know, I do it a lot myself, and can name many fabulous artists who do it all the time! My point was only that there are steps you can take to make your paintings from photos look more realistic. Painting from life is not always practical. For example, painting children. Heck, they barely sit still long enough for a photo, much less a painting. Am I right?! 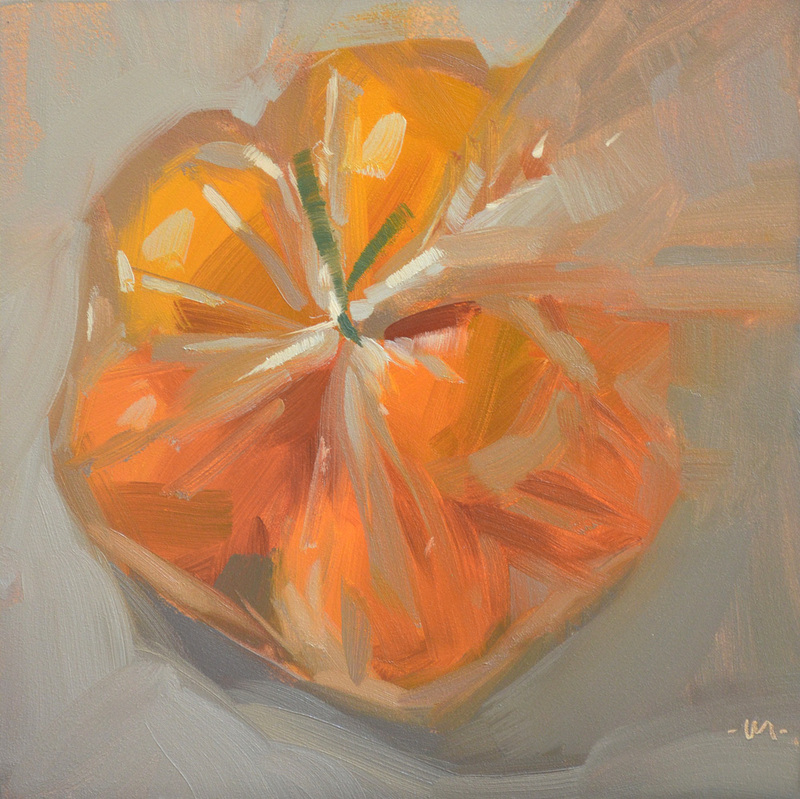 But these oranges I painted from life. They are quite patient, and I appreciate it. Carol, this bag of oranges is awesome!! I don't know what someone might have said about yesterday's post, but I agree completely with what you said. As an artist who works from photos about 75% of the time, and has worked from life just enough to know the benefits of it, I know what you're talking about!! Keep up the great paintings!! The end result is what matters!